1-Call Alaska offers excellent coverage of vessel tracking with trained personnel operation staffed 24 hours/day. When it comes to marine casualty response, no organization can respond better than the combined forces of NRC and RESOLVE. Upon notification, 1-Call Alaska will activate its assets and personnel to ensure a rapid and effective response. Your crew, cargo, and the safety of your business is our priority. Resolve’s aviation assets are available for 1-Call Alaska logistics and personnel transport as well as aerial surveillance and tracking. 1-Call Alaska LLC, wholly owned subsidiary of Resolve Marine Group, provides unprecedented marine emergency response services in the Western Alaska COTP zone. 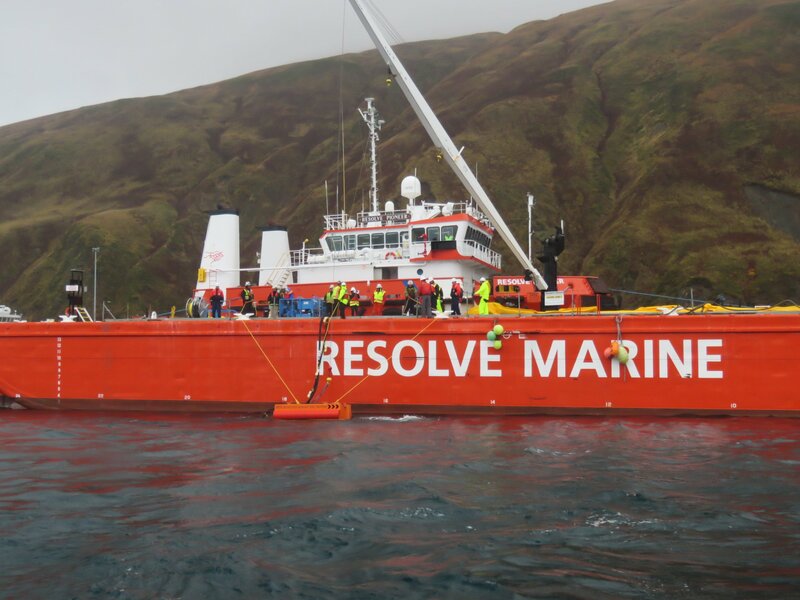 1-Call Alaska LLC maintains spill response, salvage, marine firefighting and emergency towing equipment in Dutch Harbor, Homer, Anchorage and Nome, with professional response personnel ready to deploy at a moments notice. With prevention as our mantra, 1-Call Alaska LLC maintains a 24/7 manned tracking coordination center in Anchorage, AK and a redundant center in Fort Lauderdale, FL. The center utilizes proprietary state of the art AIS tracking, to monitor client vessels as they transit the Western Alaska COTP zone. With a continual watch, 1-Call Alaska LLC, is situated to respond and prevent minor incidents from becoming catastrophic. It is the 1-Call Alaska approach to prevent and protect your assets, utilizing all facets of our interdisciplinary emergency response team. 1-Call Alaska is the 1-Call you need to make to ensure your maritime compliance and safety. Please fill in your information in the space below and we will contact you regarding our pricing, coverage services, and how 1-Call Alaska can provide peace of mind for your vessels transiting the Great Circle Route. 1-Call Alaska LLC provides unprecedented marine emergency response and preparedness in the Western Alaska CTOP zone. 1-Call Alaska LLC is the answer to all of your response needs, with extensive experience in all facets of marine emergency response, from salvage and marine fire-fighting to oil spill response. Backed by an international team of responders, and a 24-7 duty officer watch system, 1-Call Alaska LLC is here to supersede your response and compliance expectations. Since the inception of the 1990 Oil Pollution Act (OPA-90), Resolve Marine Group, parent company of 1-Call Alaska LLC, has provided salvage and marine fire-fighting services to the maritime industry. 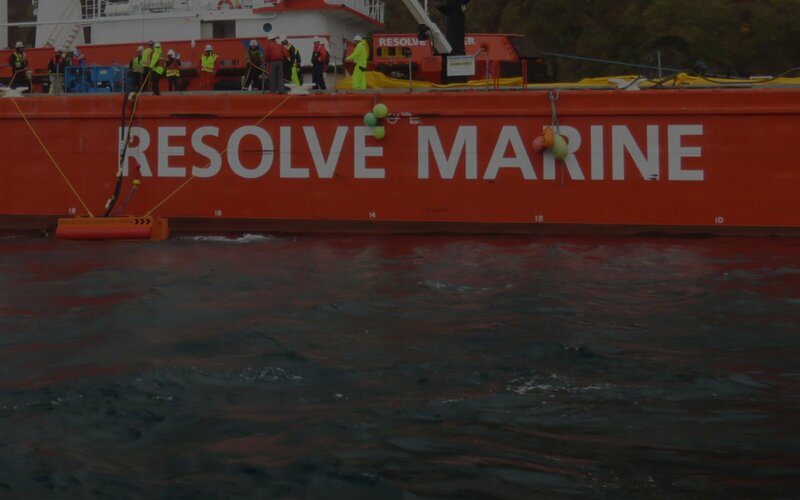 Since this time, Resolve Marine Group has expanded to where it is today, as an internationally recognized provider of maritime compliance, wreck removal, fire-fighting, salvage and oil spill response services. The international experience that 1-Call Alaska LLC is able to draw upon, is un-paralleled by other Alaskan service providers. Employees have responded in the Arctic, Ant-Arctic and everywhere in between. There is no situation that collectively 1-Call Alaska and Resolve Marine Group have not encountered, making 1-Call Alaska the leader in western Alaska APC coverage.